New business ideas emerge every day, and ever more people compete in tenders to raise funds to finance their startups and give these a push. However, investors are led by their personal preferences and put up their capital in the business ideas which are the most perspective and the most trustful from their point of view. But, what if investors turn your project down and you are still sure that public will love your idea and your product or service will make a hit for certain audience? Probably, the best solution is token sale crowdfunding – a new means to raise funds for new projects based on much-hyped blockchain technology. What are ICO and token sale? ICO stands for initial coin offering, which is a digital tool for startup projects fundraising. The concept takes after the initial public offering, but in this case, an investor gets a coin that represents some sort of value instead of shares, like in IPO. ICO is often used to describe token sale or token sale processes, while this is the term related only to cryptocurrency fundraising. When you offer some service or product, the process will be called a token sale. However, this is a separate topic for discussion; in this article, we’ll talk about the app for blockchain-based fundraising, so that information below will suit both ICOs and token sale. So, if you have a project that needs funding, it’s a great time to launch a web and mobile app for ICO or token sale to attract some investors. 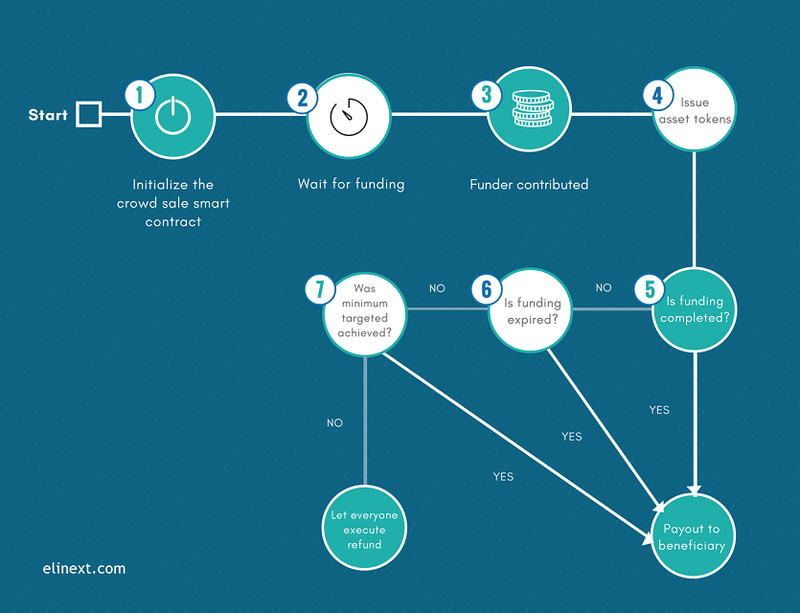 Let’s start exploring the fundraising process from the business logic of the app. 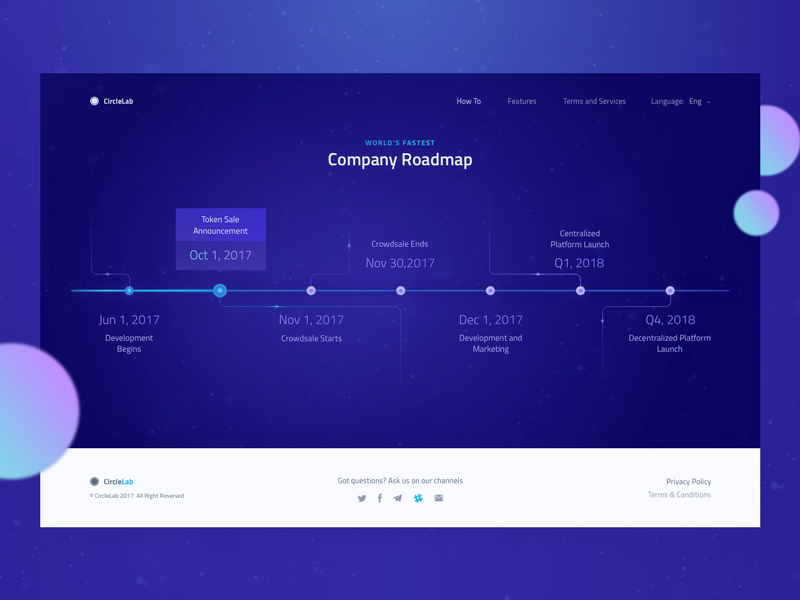 We’ll take the example of token sale, although you can apply the similar scheme to the ICO launch. Tokens that represent some physical assets, which can be used as a consumable product (for example, one token will stand for one mobile device you are going to offer). Tokens that represent some discounts or special price offer for some product or service you provide. Tokens that represent a unique access to some licenses or tickets to some private function or party. You define a period of crowdsale, for example, 30 days and mark a minimum threshold of funds to consider token sale success. People who find your offer interesting or useful will invest their bitcoins, ethers, or even dollars in your project for getting the token that they can exchange for real service or product. Each time someone contributes to your project, one token is issued. After 30-day period is over, and if crowdsale failed, all the investors will get a refund after the sale expiry date. If minimum investment goal is achieved, you may start issuing products or service backed by tokens. In case your tokens are so attractive for investors that you gathered the whole amount, say, in 15 days, the token sale will be automatically closed. As a result, you get your money, while investors become new owners of a token, and receive its benefits, for example, tickets to the environmentalists’ party. Seems that we clarified the concept of token sale, but how to implement this logic in the real solution? 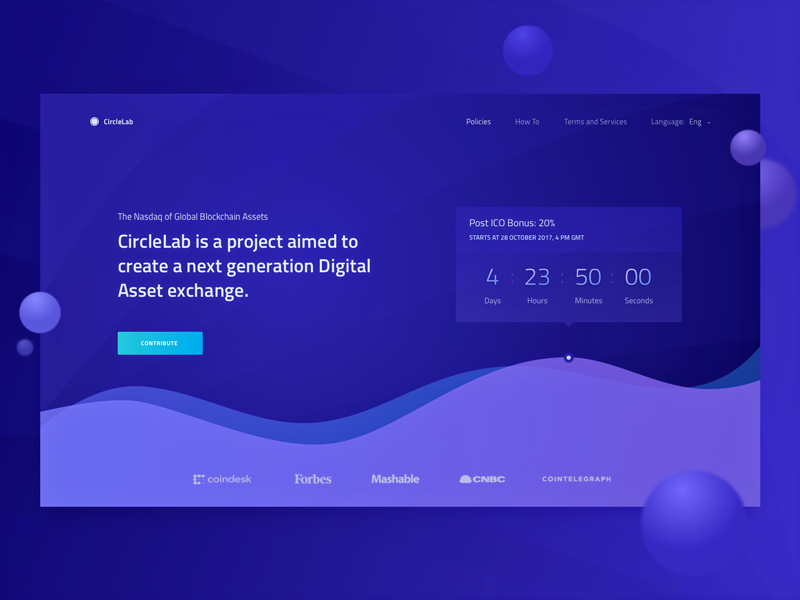 The website for token sale is often represented by a single landing page which can be expanded into a full-featured website for their project. Safe login. If people prefer to invest online and use blockchain technology, it probably means they don’t want to share their personal info. Don’t ask them to create a separate account with name, surname and email address. Their e-wallet address will be available to you, that’s more than enough. Pre-token sale with a counter stating remaining time to start, pricing info, currency to pay for a token, info on token supply, etc. Post-token sale stage featuring the number of people that have invested their funds and the date and time when the token sale has ended. Proofs of concept. Your product or service should have a very detailed overview underpinned by whitepapers, mission statement, photos, videos, graphs, and any other relevant materials that can affect the choice of potential crowdfunders. Account with transaction history: when, what, and for how many tokens were bought by the user. 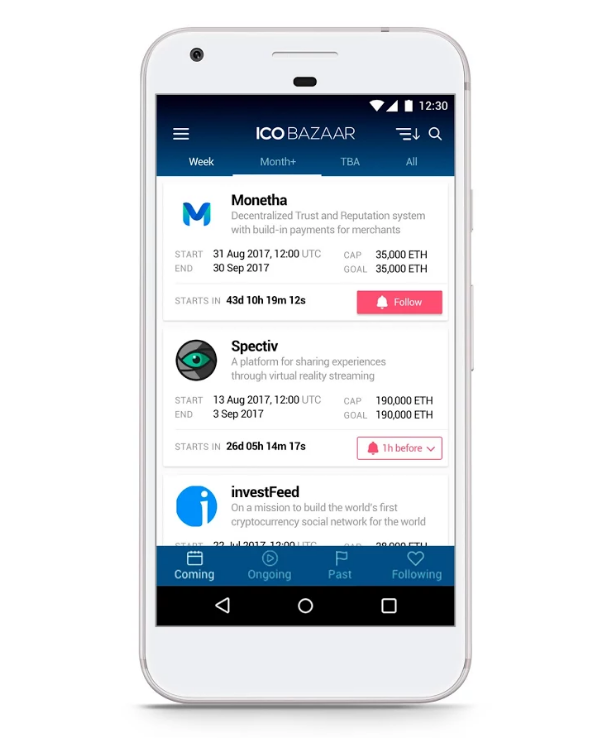 Dashboard with analytics on total investment, number of investors, the average price of a token, the share of user’s investment. Integration with a calendar notifying about the upcoming finish of token sale. Built-in cryptocurrency wallets or integration with payment systems. Design. If you look through ICO and token sale websites and apps, you’ll easily confuse them with one another. Well-elaborate design will show that you’re serious about your business and don’t stop on free templates and stock photos. The logic is simple: people don’t like your app – people won’t spend a dime (or cryptodime) in it. Responsiveness. Develop your solution to be available on screens of any resolution – it will improve user experience and increase SEO rankings. Strong server side. You may not anticipate a large number of users but you should be ready for this. Ensure that your servers can handle as many visitors as possible. Mobile presence. 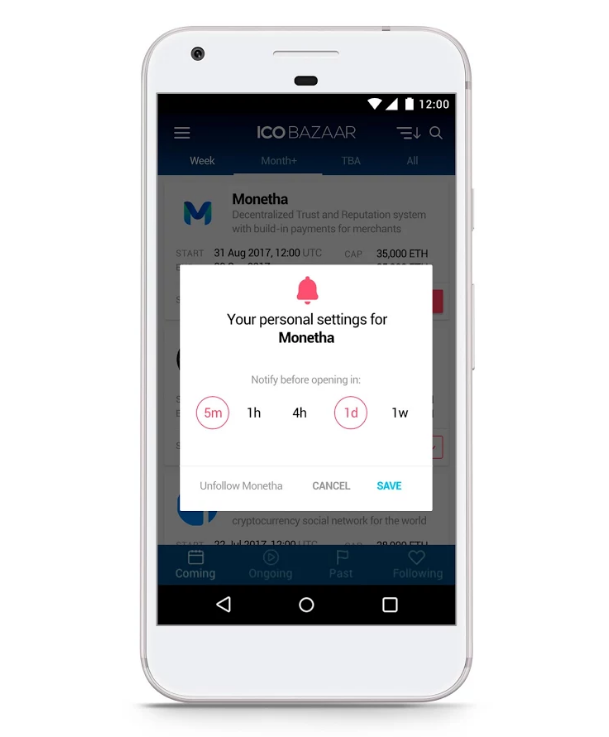 If you don’t have an opportunity to create your own mobile app, place your ICO or token sale on mobile crowdfunding listings so that mobile users can also notice you. In the competitive business environment, it’s hard to find the interested person to invest in a startup project, so business people look for innovative ways to raise funds. In this case, a token sale may be a good alternative to the standard crowdfunding, as it is a secure and transparent process which will attract the people that really believe in your project. The critical thing is to develop a website and a mobile app that look modern and trustful and advertise it through the available channels. To learn more about the technical part of the token sale, contact Elinext expert team.